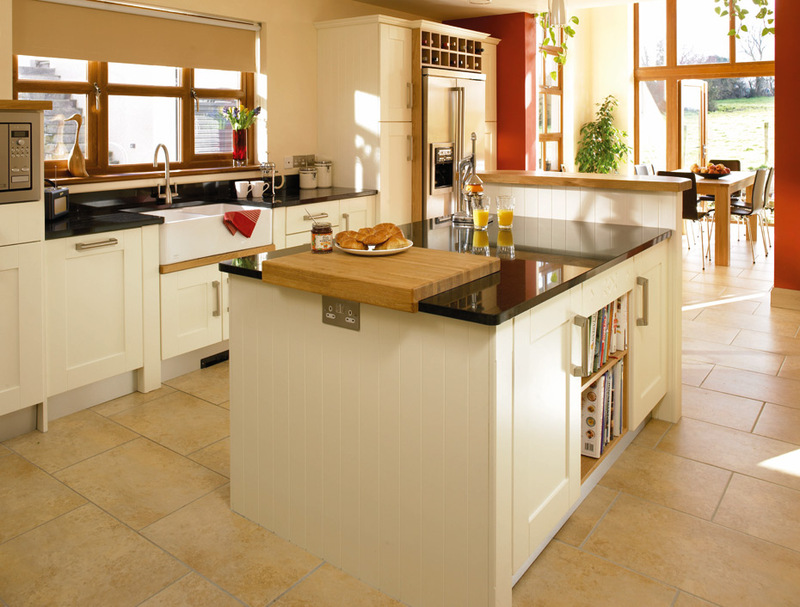 Hornschurch Ivory and the Shaker Cologne design has a broad appeal in that it can look equally well in country, classic or even contemporary setting. In this kitchen, the chunky modern handles, designer lighting, granite worktops and stylish taps create a look that is fresh, young and modern. 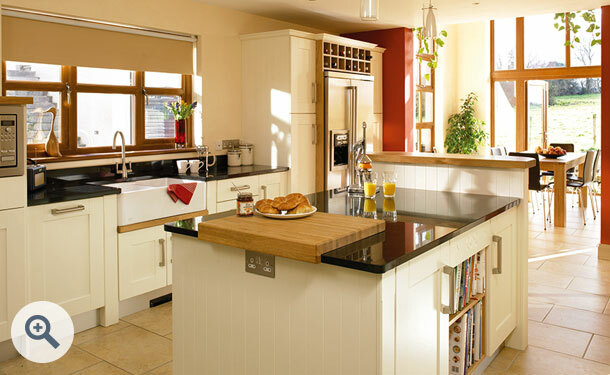 Replacement Shaker kitchen doors and drawerfronts start from only £6.41. Click the button to request a free large sample swatch of Hornschurch Ivory. Click the button to purchase a Sample Shaker Cologne design door in the Hornschurch Ivory finish. The Shaker Cologne design is also available in ALL non-gloss finishes. The Shaker Cologne design is also available in ALL high gloss finishes. Please Note: The Shaker Cologne design is not available in any high gloss finishes.